CHIVHU- At the heart of the Morrison Farm about three kilometres east of Chivhu is a small village where many kitchen huts sprout on a hill top. Inside each of the huts is a young woman, either pregnant or with a baby strapped to her back and busy with household chores. It is in this village that 53-year-old war veteran Shadreck Chimbare a member of Johanne Marange Apostolic Church has fathered 111 children with 28 wives. In a wide-ranging interview with The Mirror, Chimbare, who is popularly known as Comrade Scorpion, his war pseudonym, said he could not waste his virility when he is capable of taking care of his brood. He says that his wives are not sexually starved. He sleeps with four every night and by so doing ensures that he provides conjugal rights to each one of them at least once every week. Scorpion considers that enough for a woman. He rubbished the possibility that some of his children might not know each other. Johanne Marange Church is an apostolic sect well known for its doctrines which promote polygamy in line with the African tradition and the biblical Jewish cultural tradition. 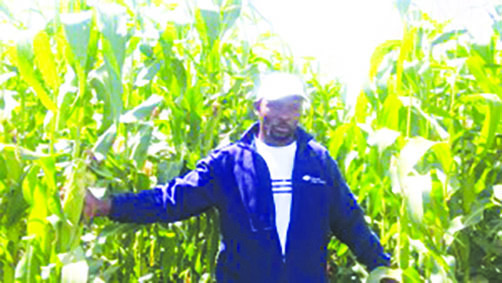 “This year, I am expecting a harvest of about 80 tonnes of maize produce. Last year I harvested more than 100 tonnes and I sold surplus to the GMB. However, there were good rains last season as compared to the erratic rainfall patterns of this current one, so the harvest will be slightly lower than that of the previous season,” he said. 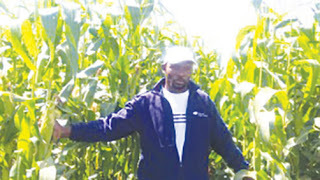 He has ventured into cash crops such as soya beans, peas, cotton and tobacco. It is against his church doctrine to grow tobacco so he hired workmen to do the farming on his behalf. He gets enough money to send his children to school and buy basic necessities for the family. Because he has always had surplus food in his stocks, Comrade Scorpion said he still has the urge to sire more childrenwho would feed on his sweat and toil. Scorpion claims that his wives are well fed and properly taken care of and has proved to be a good husband such that some of his in-laws have offered him more than two daughters for marriage. He has five pairs of biological sisters as wives. “All my wives are like sisters to each other. I have never had any fights or quarrels amongst them because I treat them fairly. Whether there are some who are jealousy towards each other, I don’t care because, I am very fair,” he stressed. Akaenda ku hondo ane 9 years kkkkkkkkkk my foot. walking all the way from Buhera to Mozambique????? Ndosaka Jonso aiti every subject needs basic mathematics, reporter kuvharwa so!!! !